As we have said, interaction between humans and robots is important - and it is worth considering therefore the extent to which it is worth making robots appear like humans. 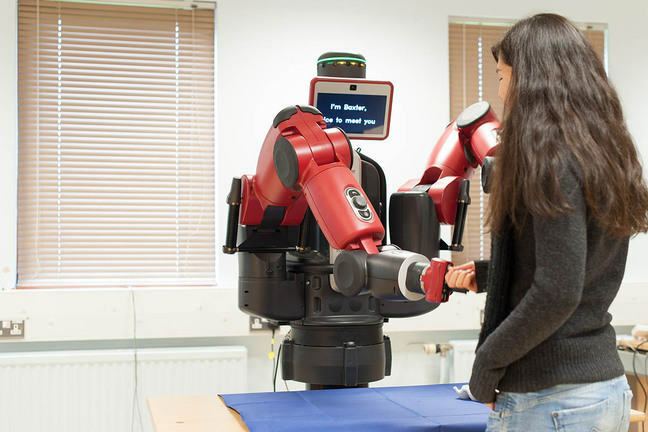 An industrial robot does not look much like a human, though a modern incarnation which we will show in this course, the Baxter Robot, has arms, torso and head which means it is more human-like. In Science Fiction, however, robots that look more like humans - androids/humanoids - are more common. Some of the historical mechanical devices looked human - Frankenstein’s monster is clearly human like - and robots such as C3PO - or Data from Star Trek are more human-like. More recent examples of humanoid robots include Honda’s Asimo or Repliee. Related to this is the concept of prosthetic limbs. For someone who has lost a hand, arm or leg, perhaps in an accident or in a war; or who was born without such limbs, technology exists to provide an artificial limb. Such limbs can do tasks - so they can be considered robotic devices. The earliest known example is of the Roman General Marcus Sergius who lost his right hand in the second Punic War and had an iron replacement hand for holding his shield. Pirates supposedly had wooden legs - or hooks in place of hands. Since then these replacement limbs have become more realistic. How realistic should they be made? If they become more realistic, are we as humans happier with them? 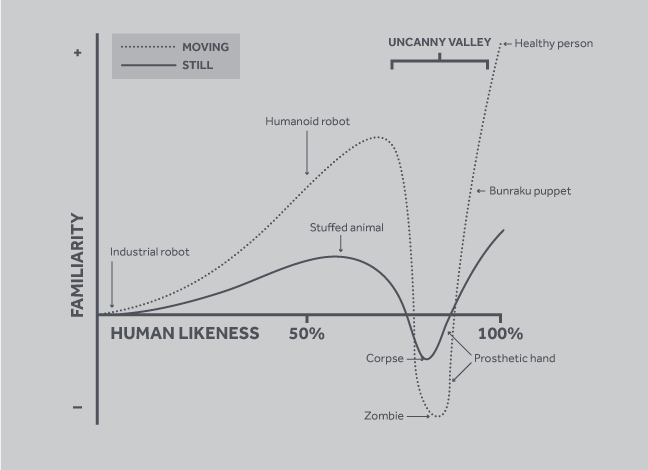 An interesting aspect to this is the so called Uncanny valley - proposed by Professor Masahiro Mori in 1970. He suggested that we do indeed like these devices more as they become more human life-like, until they become too lifelike when we start to dislike them, before becoming more acceptable. This is illustrated in the figure below, which shows the reaction to a moving humanoid robot and a stuffed animal they become more lifelike.